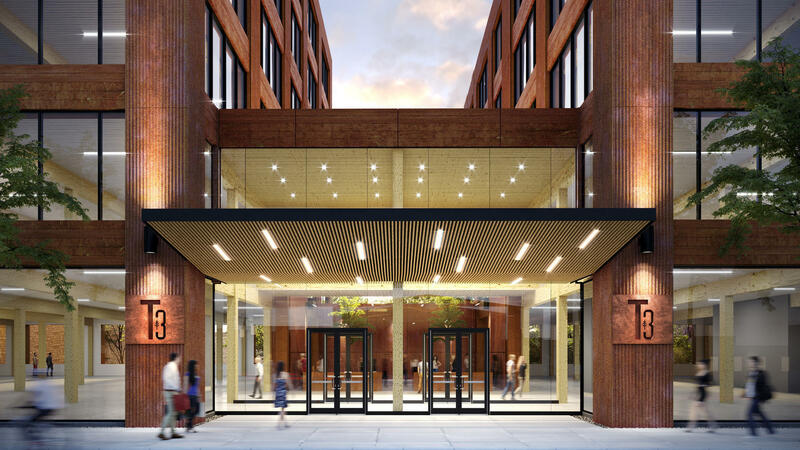 CHICAGO - Claiming it will be the largest mass timber structure in the United States, real estate developer Hines will build a six-story, 270,000-square-foot office building on Chicago's North Side. Fire-resistant and environmentally-friendly, the proposed T3 Goose Island building (T3 for timber, technology, and transit - and located in a former Goose Island lumberyard) would be the largest cross-laminated timber (CLT) building in the United States. The building is proposed by Hines, a Houston-based real estate developer responsible for a similarly-constructed 220,000-square-foot seven-story apartment complex in Minneapolis, also named T3. Hines also has plans for a mass timber office building in Atlanta, and the firm wants to develop similar buildings throughout the country, said Steve Luthman, the Hines senior managing director who oversaw the Minneapolis project. T3 Goose Island will have ground-floor retail, 275 parking spaces, bike storage, a fitness center with locker rooms, a rooftop deck and tenant balconies on each floor. 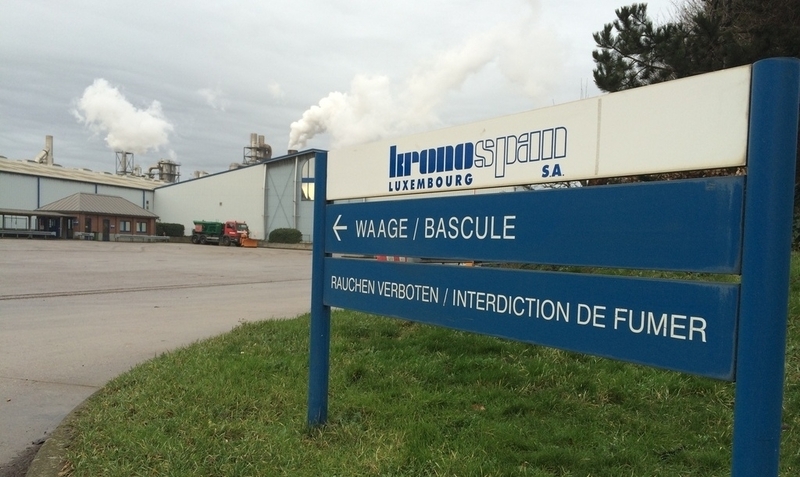 Hines plans to begin construction after leasing some space. Hines said construction will take around a year. 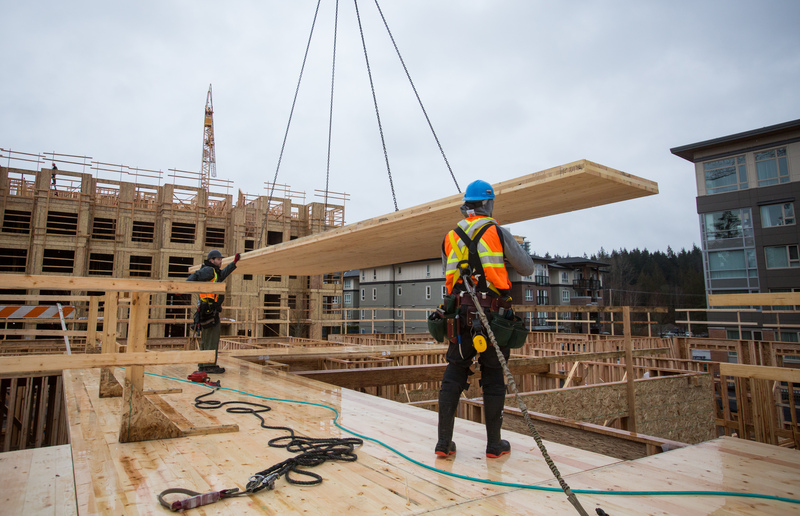 Due to CLT's benefits for carbon capture and reduced CO2 emissions in construction, CLT has sparked interest worldwide. Proposals for new projects include a 100-story tower in London, a 40-story building in Stockholm, and a residential complex in Vancouver. 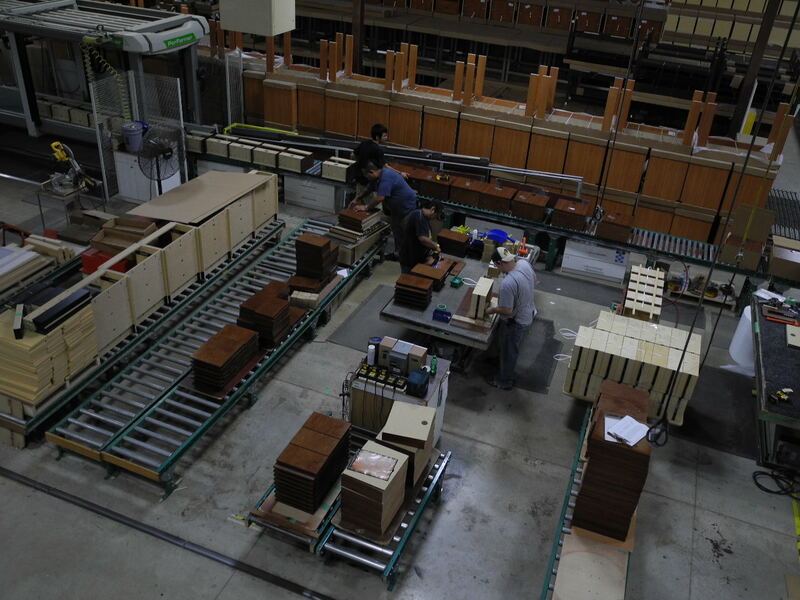 In the U.S., high-tech engineering firm Katerra will open a giant CLT factory in Washington. A 12-story CLT highrise in the works in Portland. 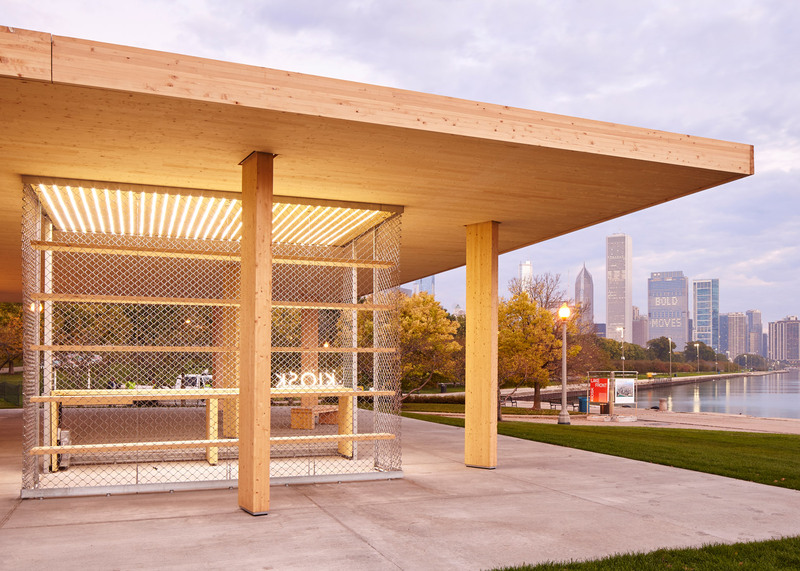 “As more architects and builders learn about the performance and efficiency of CLT, demand for our products has accelerated rapidly,” said Casey Malmquist, president and general manager of SmartLam, the first commercial producers of CLT in the U.S.
Chicago has one other CLT structure, a demonstration project erected on the city's lakefront during the 2015 Architectural Biennial. Still standing, the pavilion has endures the rigors of two winters on the shore of Lake Michigan.